In the early 1980s some friends and I used to go to a place called Dan Lynch on Second Avenue between 12th and 13th streets (the location is now a taco joint) on nights when there was live music. One of the regular groups there was the Holmes Brothers, whose repertoire was a compelling mixture of blues, gospel, and R&B. The group consisted of Wendell Holmes on guitar and vocals, his brother Sherman on bass and vocals, and Willie "Popsy" Dixon, who died this past January, on drums and vocals. After attending several performances, my friends and I got to know the group, and would socialize with them between sets. The clip above shows the Holmes Brothers performing "Amazing Grace" at the Kitchener Blues Festival in Kitchener, Ontario in 2010. Today I learned the history of this widely beloved hymn. The author of its words, John Newton, was a slave ship captain who saw the error of his ways and became a clergyman and an ardent campaigner for the abolition of slavery. This clip is of the Holmes Brothers doing "Feed My Soul" with another Dan Lynch regular, Joan Osborne. Finally, here are the Brothers, with Joan Osborne and other backup singers, doing "Ain't No Grave Gonna Hold My Body Down" on Letterman. Wendell Holmes died yesterday. Goodbye to a favorite musician, and friend. TBT: Ornette Coleman, "Lonely Woman." 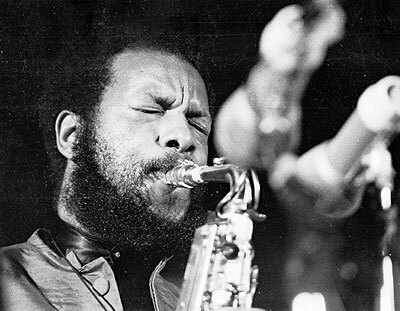 Ornette Coleman, who died last week, was, along with Eric Dolphy and others, one of the jazz musicians who took the music a step beyond that of the post World War Two era. He could coax sounds from a saxophone, and other instruments as well, unlike anyone else. In the video above, he plays "Lonely Woman" at Jazz à Vienne, in 2008. He's accompanied by Tony Falanga, bass; Al MacDowell, electric bass; and Denardo Coleman (his son), drums. 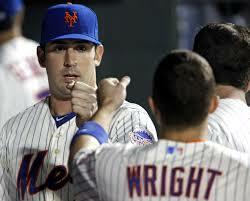 Dare I keep being optimistic about the Mets? Let's see. They storm back from a bad outing by Gee, now designated for assignment, to win the rubber game of a series with the Braves. Syndegaard pitches well, gets little support, but they manage to hang on and beat the Jays in the 11th. Harvey, subject to rumors of problems following his Tommy John surgery, pitches well in a 5-3 victory in the second game against the Jays. The front office projects David Wright back soon after the All-Star Break. And they enjoy a two game lead in the NL East. It all looks so good. I hope this observation doesn't collapse their Schrödinger wave function.